Justice In Ukraine - No Country For Ordinary People? BRUSSELS, Belgium -- For the past two weeks, Ukraine has been swamped in a torrent of news stories unveiling the magnitude of the country’s police brutality and impunity. Policemen in Kiev were accused of beating a student to death. Raisa Radchenko, an elderly civil rights campaigner in Zaporizhya, was incarcerated in a mental institution against her will. Stories like these make the headlines of Ukrainian news on a daily basis. Yet one case highlights the problems with the rule of law in the country particularly well. At the end of June news emerged that a 29-year-old woman had been severely beaten up and raped by three men, two of them policemen, in a Southern town of Vradiyivka. Amid the foot-dragging of law-enforcing authorities, a crowd of over 1000 townsmen besieged the local police station demanding the accused policemen to be handed over. Under pressure from the protestors, the latter were arrested and some low-ranking officials sacked. The events in Vradiyivka sent ripple effects across the country, as they were followed by protests in a dozen Ukrainian towns. Finally, about 200 people started protesting against police impunity in Kiev’s Independence Square on Friday, 18 July. Although the local authorities had been duly notified, riot police units used force and tear gas to clear the square of the protesters. Several activists were arrested in violation of the right to freedom of assembly. During the clampdown on protestors, three journalists were physically and verbally assaulted, which prompted the National Union of Journalists to call on the Minister of the Interior to resign. The latter went on vacation instead. These events manifest a much broader trend in the Ukrainian society: pervasive mistrust in state institutions, particularly the judicial system and law-enforcement. According to the recent Global Corruption Barometer conducted by Transparency International, 87% respondents in Ukraine claimed that the judiciary was corrupt or extremely corrupt and 84% respondents characterized the police in the same way, making these institutions the least trusted ones in the country. There are positive signs in public attitudes, however tepid. First of all, the polls show that Ukrainians have more trust in NGOs and media, which incidentally offer them at least some way of countering outright impunity of the law-enforcing machine, as the media coverage of the Vradiyivka events had shown. Even the mainstream TV channels linked to major oligarchs could not help covering the story due to its resonance in the society; while independent journalists were vocal in demanding police staff overhaul. Secondly, these protests might become a harbinger of a more important trend in current Ukrainian politics, which appears to be overlooked in the EU. Grass-root activists of the fragmented civil society in Ukraine are increasingly demanding change in the judicial and law-enforcement system, despite lack of organizational and financial base. The success of such civil initiatives often hinges on efforts of only a small group of activists. Ukrainian authorities seem to have given note: Vasyl’ Lyubarets, an activist who coordinated the Vradiyivka March, has been recently arrested for 10 days under the pretext of violating the rules of peaceful assembly, an allegation contested by human rights monitors. 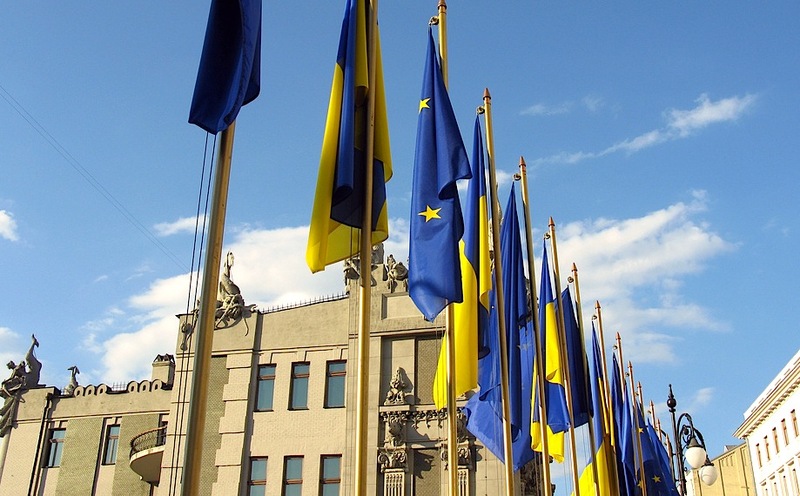 These developments have revealed the challenges that the EU faces in supporting the democratic transition in Ukraine. On the one hand, the EU demands to prevent selective justice and implement judiciary reform are supposed to serve as useful benchmarks for the government. But they fall on the deaf ears of those who are interested in preserving the status quo. On the other hand, the EU appears to have shunned any involvement with the developments on the ground: neither the EEAS nor Commissioner Füle, responsible for neighbourhood policy, issued any statements regarding the authorities’ response to the protests for over three weeks. The EU Delegation in Kiev has kept silent too, at least publicly. This does not sit well with the proclaimed “mutual ownership” and the engagement of the civil society actors in the Association process four months ahead of the Vilnius summit. 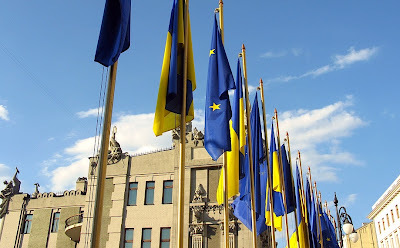 Instead, the EU should seize the momentum in Ukraine to engage with those few civil activists across the country by providing them with legal assistance and political support, perhaps by involving the European Endowment for Democracy. Given that the disparate movement has been engendered by local activists, not politicians, the EU has more chances to bring about a real change in law-enforcement on the ground. Also, supporting this nascent movement is the least the EU can do to prop up the freedom of assembly in the increasingly authoritarian Ukraine and to reaffirm its own demand of preventing cases of “selective justice”.